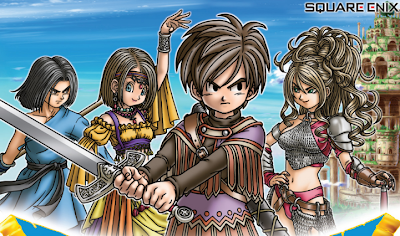 Have you picked up your copy of Dragon Quest IX yet? It's one of the biggest handheld games this year, providing action beyond the classic 1-player JRPG formula. In the spirit of Diablo 2, four players can band together through the local wireless connection to take on tough dungeons and monsters. Characters are fully customizable, and the gameplay is more open-ended than you'd see in a typical RPG. Oh yeah - and no random encounters! I've only briefly tried out Dragon Quest IX, but I'm looking forward to getting this game ASAP - especially since there will be a Canada-wide tag mode event happening on Saturday, July 31 (2-4pm). Tag Mode lets you keep your game running while it's being stored, so when you walk by someone who also has the game on, you'll automatically exchange things like character info and treasure maps. This sort of game feature is pretty popular in Japan, but rarely makes its way to our side of the globe, perhaps because our population density is a lot lower. Luckily, variations on this concept - like the Pokéwalker peripheral - have started to appear in recent times. To find the closest participating store near you, browse the list here. Note that you have to complete Quester's Rest in Stornway to receive maps through Tag Mode. It looks like you also have a chance of winning a Midnight Blue Nintendo DSi XL at the event - so go, go, go!